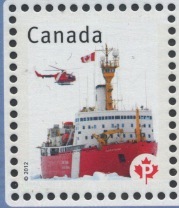 Louis S. St-Laurent is a Canadian Coast Guard Heavy Arctic Icebreaker. Named after the twelfth Prime Minister of Canada, The Right Honourable Louis St. Laurent, PC CC QC LLD DCL LLL BA. The vessel is classed a "Heavy Arctic Icebreaker" and is the largest icebreaker and flagship of the CCG. It carries a polar class of PC-1. Built in 1969 by Canadian Vickers Ltd. in Montreal, Quebec, CCGS Louis S. S CCGS t-Laurent underwent an extensive and costly modernization at Halifax Shipyard Ltd. in Halifax, Nova Scotia between 1988-1993 which saw her hull lengthened as well as new propulsion and navigation equipment installed. 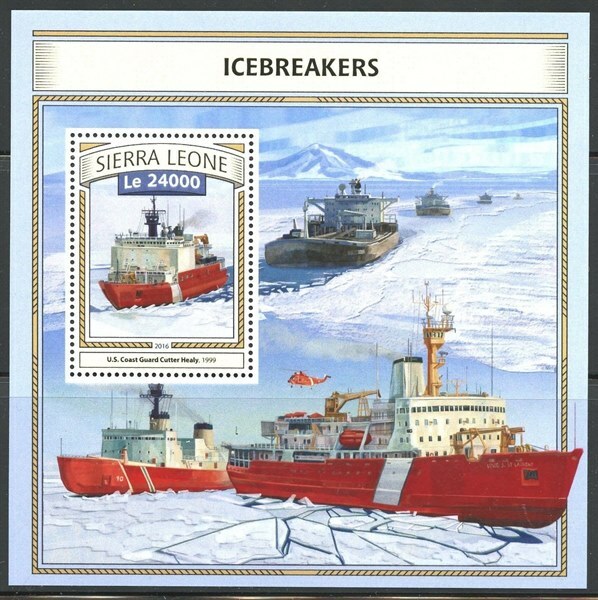 The modernization program was controversial as the government of Prime Minister Brian Mulroney had initially proposed building a class of mega icebreakers (the Polar 8 Project) for promoting Canadian sovereignty in territorial waters claimed by Canada; the USCGC Polar Sea had made an unauthorized transit of Canada's Northwest Passage in 1985 early in Mulroney's administration, provoking a strong nationalist out-cry across the country. However, budget cuts in the late 1980s saw proposed expansions of the coast guard and armed forces scrapped. 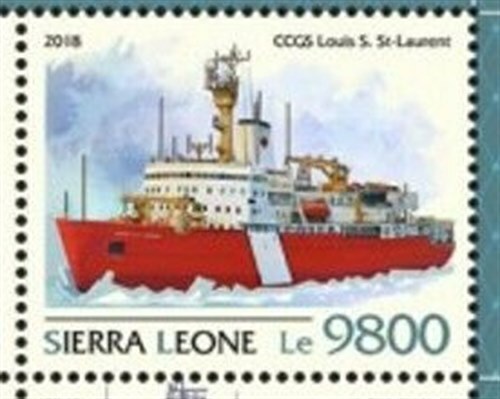 In compensation to the coast guard, the government opted to modernize the largest icebreaker in its fleet, the CCGS Louis S. St-Laurent. She was based at CCG Base Dartmouth in Dartmouth, Nova Scotia for a large majority of her career, but has recently been transferred to St. Johns, Newfoundland and Labrador. The vessel's current operation tempo consists of summer voyages to Canada's Arctic where she supports the annual Arctic sealift to various coastal communities and carries out multi-disciplinary scientific expeditions. During the winter months, CCGS Louis S. St-Laurent sometimes operates in the Gulf of St. Lawrence to aid ships in transiting to Montreal, Quebec, although she usually only serves this assignment during particularly heavy ice years. 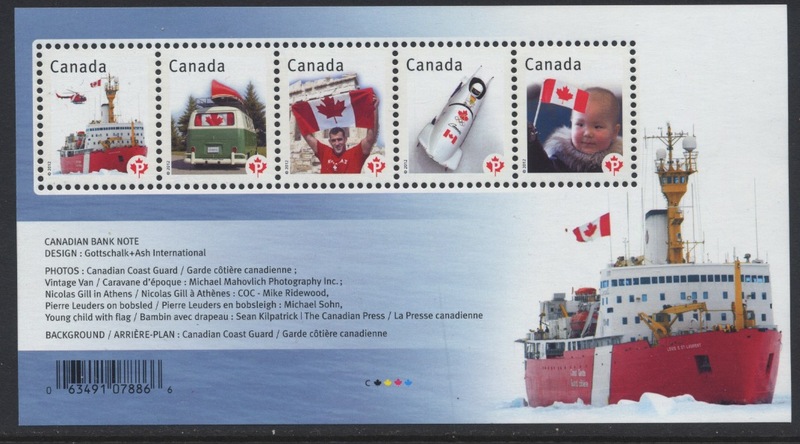 On 22 August 1994 Louis S. St-Laurent and USCGC Polar Sea (WAGB-11) became the first North American surface vessels to reach the North Pole. In the summer of 2006, CBC TV's The National broadcast from the Louis S. St-Laurent in a special series focused on climate change. The vessel was originally scheduled to be decommissioned in 2000 however a refit extended the decommissioning date to 2017. 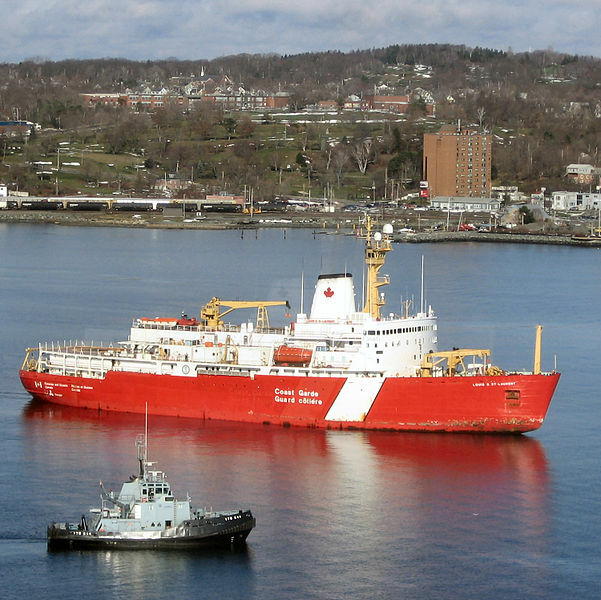 In the February 26, 2008 federal budget, the Government of Canada announced it was funding a $721 million "Polar Class Icebreaker" (named CCGS John G. Diefenbaker) as a replacement vessel for CCGS Louis S. St-Laurent. Built under yard No 286 by Canadian Vickers, Montreal for the Government of Canada. 03 December 1966 launched as the LOUIS S.ST-LAURENT. Tonnage when built 10,908 grt, 4,714 dwt, dim. 111.7 x 24.5 m., length bpp.101.8m. Powered turbo-electric by three steam turbines and three electro motors, 27,000 shp., driven three shafts, speed 18 knots. After lengthening:LOUIS S.ST-LAURENT underwent an extensive and costly modernization at Halifax Shipyard Ltd. in Halifax, Nova Scotia between 1988–1993 which saw her hull lengthened as well as new propulsion and navigation equipment installed. Displacement 15,324 ton, 11,345 grt, 3,403 nrt, dim. Length 119.8m. Powered diesel electric by 5 Krupp-Mak diesel engines each 5,880 kW. Driven electro motors each 6,714 kW, three shafts, speed 16 knots. Endurance 23,000 mile. 2019 In service IMO No 6705937.